Posted on 24 September 2013 and filed under Clutch Bags. More Art Deco inspiration: another Kallina house detail on a handbag. 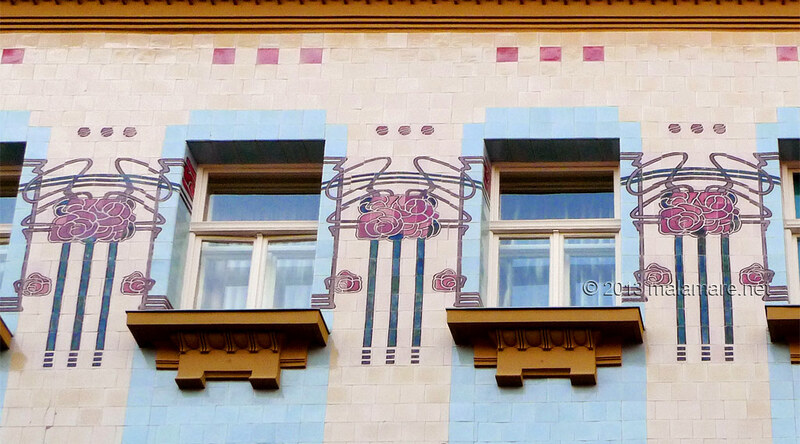 Kallina house, which for me is the most beautiful building in Zagreb, its Art Deco beauty and its details are huge source of inspiration for me. I can not help it, nature inspired Art Deco ornaments and their soft organic delicacy are simply irresistible to me. I admire the period that in such elegant way decorated industrial production and merged arts and crafts, and almost every Art Deco object inspires me to play with its ornaments. I made this handbag as a dedication to roses and vines ornaments decorating the building’s facade, making space between windows on the second floor beautiful. 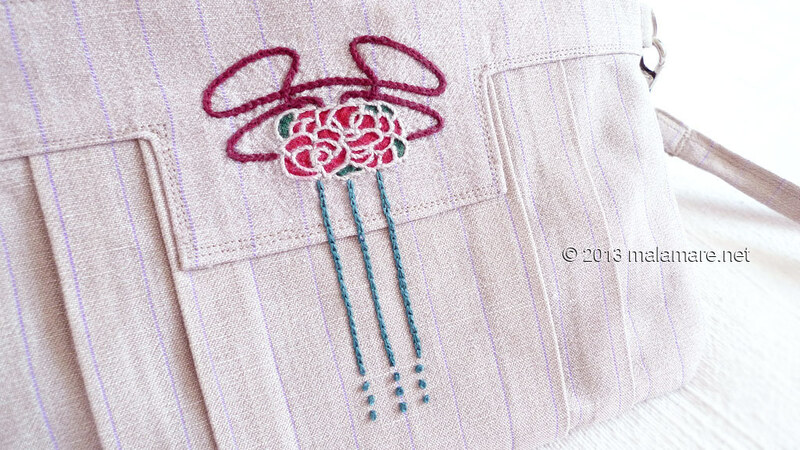 I transferred the photo of the ornament to the paper and then to the fabric, painted rose petals with fabric paint and hand embroidered the lines with bordeaux, beige and turquoise cotton embroidery thread, in stem, chain and French knot stitches. 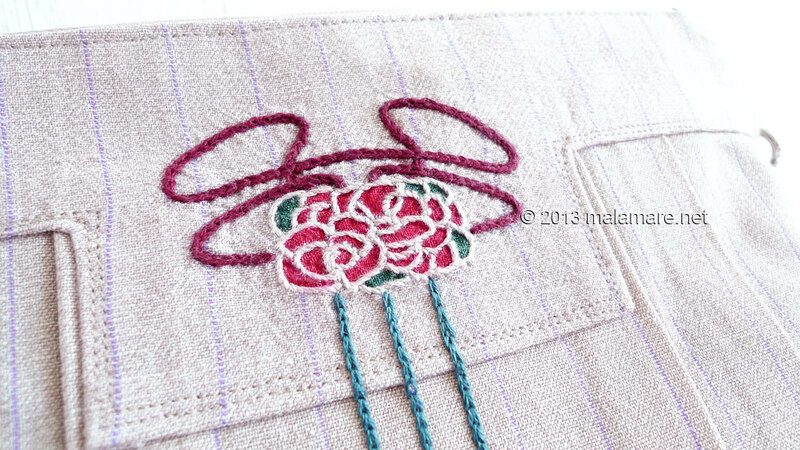 And then I started shaping folds on the fabric… And fold by fold, stitch by stitch, I have sewn a clutch bag. 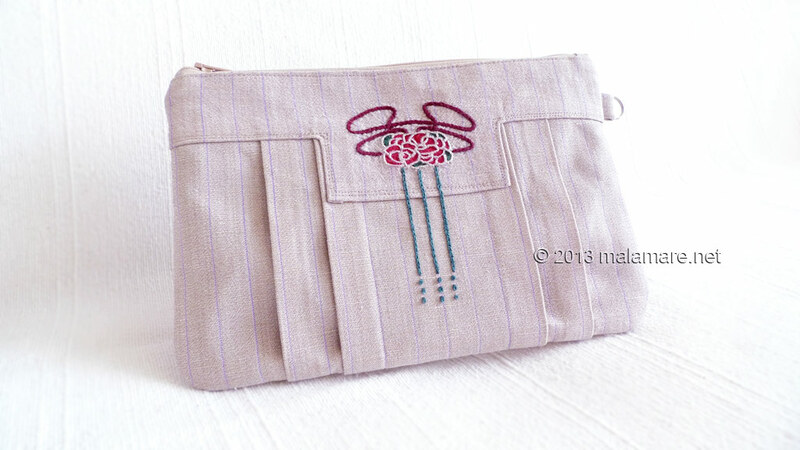 I made the clutch bag Art Deco Roses from beige linen fabric with delicate lines in lavender colour. It is adorned with decorative element from the façade of Kallina house, made in hand embroidery. The handbag has been strengthened with a layer of interfacing for firmness and shape. 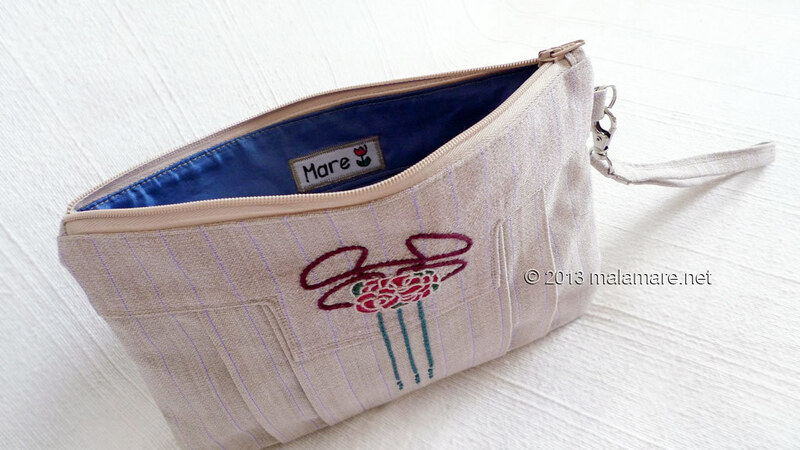 The bag inside is made from blue cotton fabric and it hides an open pocket. 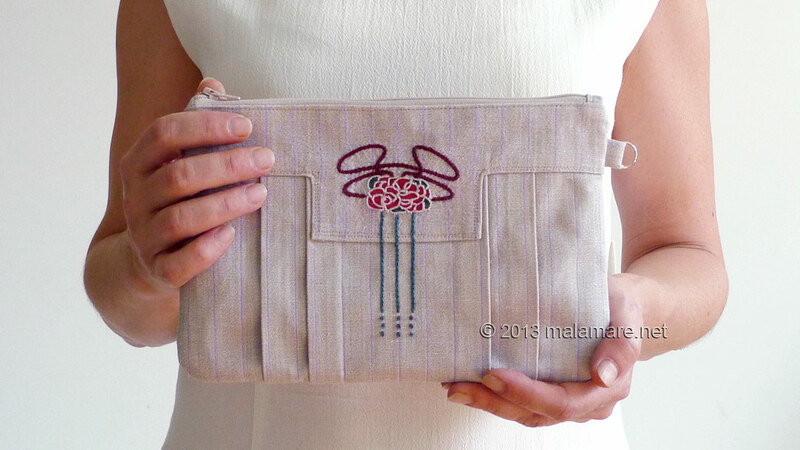 The clutch bag closes with a zipper and it has detachable wrist handle.